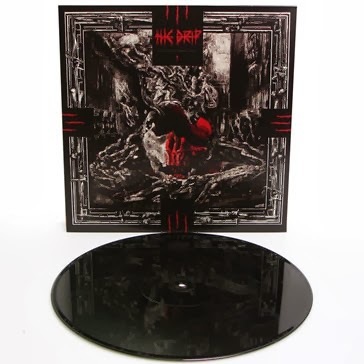 Featuring favorites such as “Disconnect the Dots,” “Lysergic Bliss,” and “Chrissy Kiss the Corpse,” of Montreal’s breakthrough album Satanic Panic in the Attic marked a slight departure from the band’s previous sound due to influences ranging from 1970’s Afro beat to 80’s New Wave. To celebrate this beloved record’s 10-year anniversary, Satanic Panic in the Attic has been re-mastered for vinyl and is being pressed on 180-gram yellow & light blue wax (limited to 2,000) with a second disc featuring seven additional tracks recorded during the same era. This deluxe double LP re-issue comes packaged in a gatefold jacket that restores the interior artwork to its original full-color design. 2. of Montreal - Jigsaw Puzzle 7"
“Jigsaw Puzzle” was recorded during the same sessions that produced Lousy with Sylvianbriar and is now available as a limited edition 7" for Record Store Day 2014 (limited to 1,500 on light green vinyl). An alternate version of Lousy with Sylvianbriar track “Triumph of Disintegration” is featured on the B-side. During the summer of 2013, Xiu Xiu frontman Jamie Stewart and producer Shahzad Ismaily traveled to Sigur Rós’s personal studio in Iceland. Having access to the space for only one day, Stewart worked on setting down his interpretations of American and Caribbean spirituals using a 1953 Silvertone guitar given to him by his father (producer Michael Stewart), the man who introduced him to religious thought and folk music. The resulting album, Unclouded Sky, explores themes of death and faith over the course of nine songs originally composed between 1850 and 1920, which are interspersed with field recordings Stewart made in the jungle of Guyana. Unclouded Sky will be available on 180-gram "cloud colored" vinyl (limited to 1,000). 4. The Dodos - Yours Truly Session 7"
In the fall of 2013, San Francisco-based duo The Dodos reconvened at John Vanderslice’s Tiny Telephone studio (where they recorded their latest full-length Carrier) to re-visit two songs in collaboration with the Magik*Magik Orchestra. Featuring beautiful new arrangements, these special performances of “Substance” and “The Ocean” were captured on film by music website Yours Truly and are now available on yellow vinyl (limited to 1,000) for the first time via this one-time pressing. Love Will Find You was originally released in 2002, but it's never been available on vinyl through retail stores...until now! 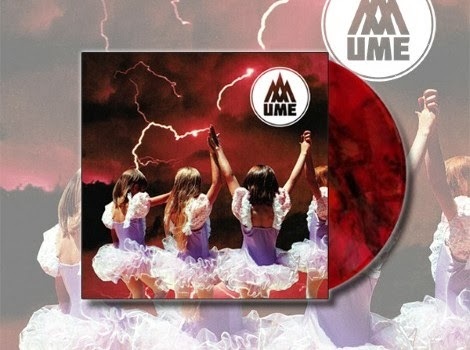 This classic SLGTM title will now be available on red vinyl (limited to 500) with hand silkscreened jackets from the original artwork. Saturday Looks Good To Me's self-released debut album from 2000 was a lo-fi four track take on reinterpreting Motown and oldies radio through a murky crust of noise. Though the recording finds the project in it's most experimental larval stages, the sparkle and excitement of these earliest basement incantations comes through loud and clear, and many of the songs here became fan favorites as the band grew. The album will now be available for the first time on vinyl through retail stores as an expanded 14-song edition on blue vinyl w/ hand silkscreened jackets from the original artwork (limited to 500). 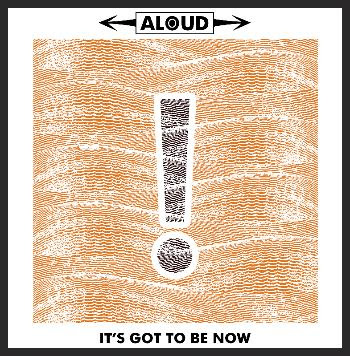 Aloud Releases "It's Got to Be Now"
It's Got To Be Now, as it was meant to be heard! Limited edition pressing of Aloud's fourth album on individually hand-pressed 12" vinyl. 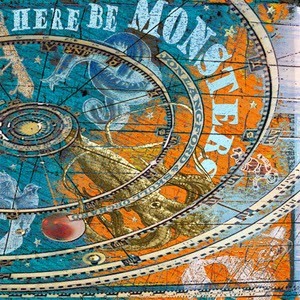 Digital download includes bonus track, "You Will Know". Pre-order includes immediate download of 1 track in the high-quality format of your choice (MP3, FLAC, and more), plus unlimited mobile access using the free Bandcamp listening app. You'll also get the complete album the moment it’s released. Hailing from Boston, MA, pop-infused rock 'n roll outfit Aloud blends throaty lead vocals with spine-tingling male/female harmonies accompanied by infectious grooves and hard-hitting riffs. Henry Beguiristain (lead vocals/guitar) and Jen de la Osa (lead vocals/guitar) have been writing songs together since they were teenagers, developing a sound reminiscent of Alabama Shakes, Dr. Dog, Fitz and the Tantrums, The Black Keys, and The Love Language. They moved from their hometown of Miami, FL to Boston, founded Aloud, and began touring extensively in early 2008 to support their album Fan The Fury. It was during this time their constant rhythm section departed due to conflicting priorities, but in 2009, Aloud welcomed aboard Charles Murphy (bass/backing vocals). In 2010, Aloud released the folkier-edged Exile and toured the U.S. coast-to-coast to promote it, rocking major venues like Paradise Rock Club (Boston), Mercury Lounge (NYC), The Double Door (Chicago), and Exit/In (Nashville). Frank Hegyi (drums/percussion) joined as Aloud’s drummer in early 2012, and the four feature their refined, songwriting sensibilities on their forthcoming album It’s Got To Be Now, out 4/1/14. Earning nominations by the Boston Phoenix for best vocalist and Best Indie Band Aloud is always a crowd favorite. Their audiences can speak volumes about the band’s energetic connection with their fans and passionate stage performance. Listen to "It's Got to Be Now"
Light In The Attic and the legendary folk/blues/roots label Vanguard Records are proud to begin a series of collaborations under the umbrella Vanguard Vault. 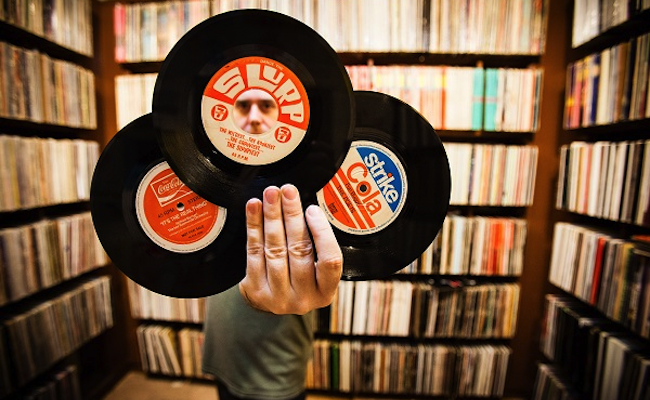 The series will explore the vaults of Vanguard and see the reissuing of obscure nuggets, psychedelic weirdness and just some good old-fashioned seminal music. 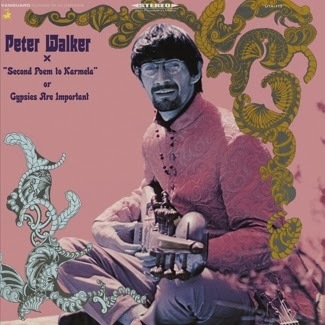 Originally released in 1968 on Vanguard Records, Peter Walker’s album “Second Poem To Karmela” Or Gypsies Are Important was a ground breaking blend of folk, raga, psychedelia, Eastern and Modal sounds that has remained unsung for decades. While his debut album for Vanguard, Rainy Day Raga, has been reissued several times on LP and CD, this album (his sophomore effort), remains an obscure and hard to find vinyl relic. Until now…. Carefully re-mastered from the original tapes, guitar scholar Glenn Jones recently interviewed Peter Walker for hours and has written a book-deep essay for the CD and LP liner notes that detail Walker’s association with an incredible cross-section of 1960’s counter-culture icons including LSD guru Timothy Leary (Walker personally provided ‘the soundtrack’ to many a trip), he studied raga music with Ali Akbar Khan, and like his close friend Sandy Bull, Walker worked on a fusion of Western and Eastern sounds. Jim Pepper plays flute on Second Poem (he also recorded with The Fugs and Don Cherry), other accompaniment to Walker’s guitar, Sarod and Sitar playing includes violin, organ, tablas, and tamboura. 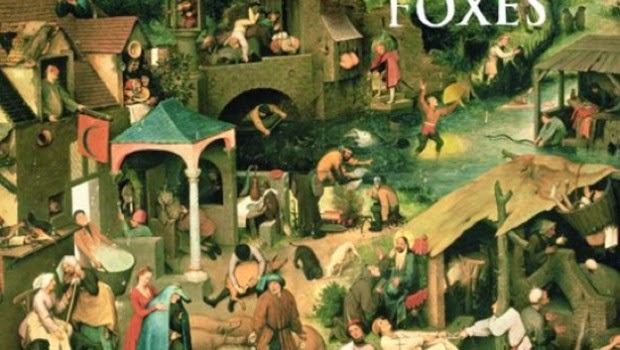 This is true “acid folk” as interesting, progressive, and memorable as fellow 1960’s world travelers Robbie Basho, Davy Graham, and the Incredible String Band. Limited pressing on STARBURST BLUE AND PINK wax! This color is only available to Light In The Attic LP Subscription Members. For more info on our Subscription series and how to sign up, visit the Subscription page. 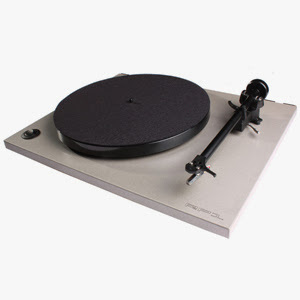 some new vinyl releases in my inbox! 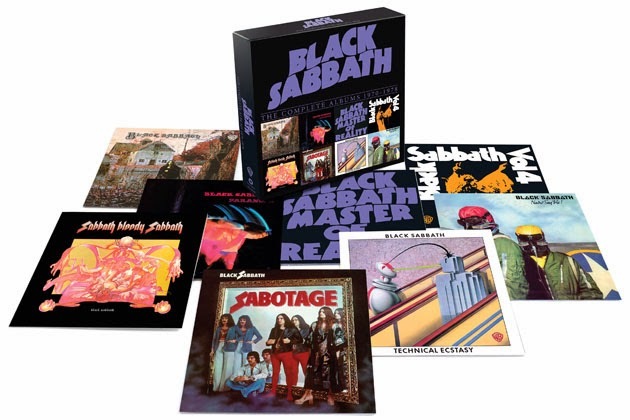 New self-titled album now available for pre-order, including a deluxe package! Pattern Is Movement have shared another peek into their new self-titled full-length, out April 1. "Climb To Me," streaming at Stereogum right now, is a triumphant call to action, marking the Philadelphia duo’s fourth album and their first since 2008’s critically-acclaimed All Together. It’s been a long inhale — and the exhale began last night with the beginning of Pattern Is Movement’s nationwide tour with Yellow Ostrich. The road will take the band to SXSW, where they will play the Hometapes Showcase and more (dates below). 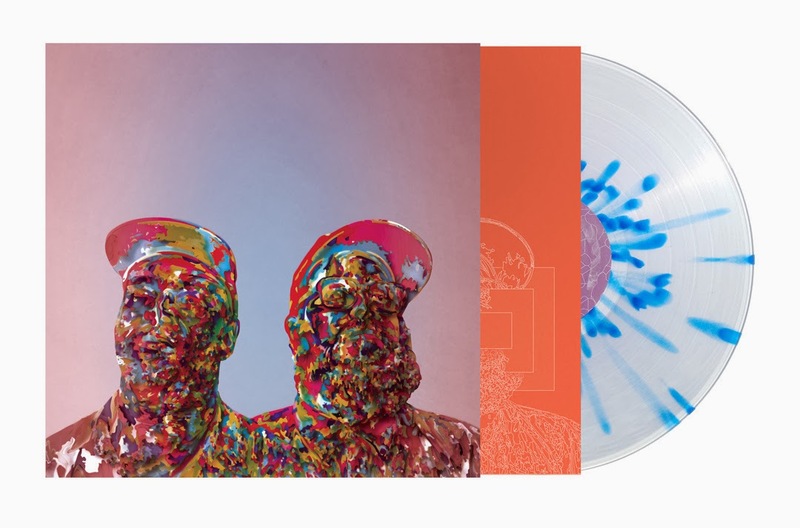 Pattern Is Movement is available for pre-order today from Hometapes on limited edition clear + blue splatter vinyl. In addition to standard LP, CD, and Digital pre-order options, a deluxe pre-order package is available and includes Pattern Is Movement’s “(Suckling / Untitled How Does It Feel? )” 12-inch (plus an instant-grat download of those two tracks!) and a copy of the very limited Light Of The World CD EP — which features two early versions of Pattern Is Movement album tracks and the band covering The Smiths, David Bowie, and Beyoncé. 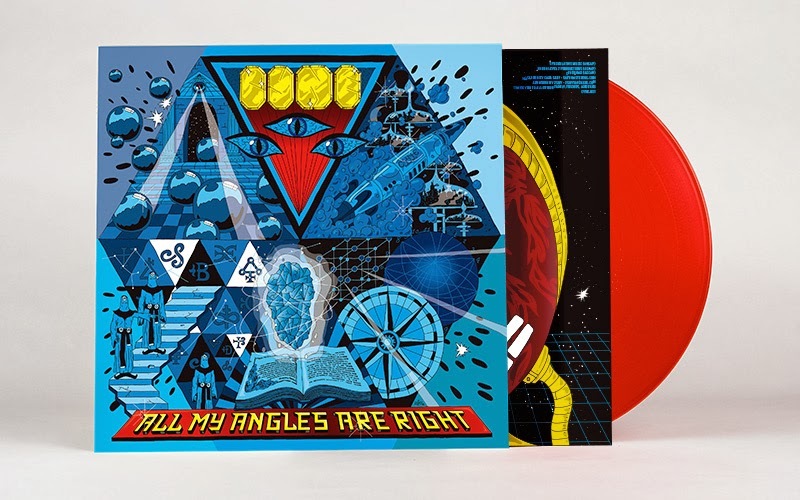 Pre-order now and receive the new CYNE album on limited edition transparent red vinyl. 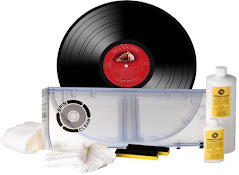 Packaged in a heavyweight jacket with a printed inner sleeve. Includes a coupon for a digital download of the album. 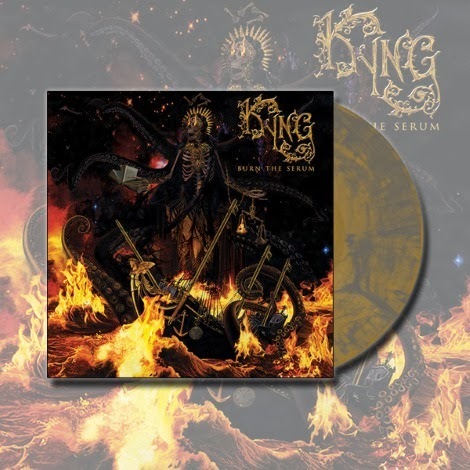 (New York, NY) – Southern California rock trio KYNG has officially launched pre-order bundles for their forthcoming new studio album, Burn The Serum, at MerchNow Bundles include CD, vinyl and variety of t-shirts and hoodies. Burn The Serum will be released on April 15th through Razor & Tie. The album was produced by Andrew Alekel (Foo Fighters, No Doubt, Queens of The Stone Age, Clutch) and James A. Rota (Sound City, Fireball Ministry) and was recorded at Grandmaster Recorders LTD and Sword & Shield in Hollywood, CA as well as at Studio 606 in Northridge, CA. On their second full-length album and first for Razor & Tie, the band harks back to the essence of heavy rock 'n' roll, forging thunderous percussion to lightning hot riffs driven by a divine vocal howl. At the same time, they keep their eyes wide open towards the future. KYNG find grandiosity in simplicity. The Los Angeles outfit may only boast three members—Eddie Veliz [vocals/guitar], Pepe Clarke [drums], and Tony Castaneda [bass/backup vocals]—but their collective roar could easily tip the Southern California Richter Scale. Washington State’s THE DRIP roar onto the scene with a blasting EP of filthy, angry grind produced and engineered by Joel Grind of Toxic Holocaust. An absolute must for fans of all of the ferocious forefathers of grind-Napalm Death, Nasum, Rotten Sound, etc. This is a relentlessly skull crushing record of pissed off, high energy, barbaric grind. This hate is timeless. First press of the vinyl version comes with a totally sick etching on the b-side. San Diego, CA's finest purveyors of extreme metal, Cattle Decapitation, are planning a series of limited edition vinyl releases for 2014 under the banner "Decade of Decapitation", to celebrate 10 years of releases on Metal Blade Records. The band's entire Metal Blade discography: "To Serve Man" (2002), "Humanure" (2004), "Karma.Bloody.Karma" (2006), "The Harvest Floor" (2009), and "Monolith of Inhumanity" (2012) are all being prepared in lavish gatefolds for release. The colors, handpicked by the band, reflect the concept or color scheme behind each album. Fans will also have the opportunity to pick up a collectable box that comes with an exclusive T-shirt, both with brand new art from longtime Cattle Decapitation cover artist, Wes Benscoter. Additionally, "To Serve Man", the band's debut full-length, and their sophomore effort "Humanure" have been remastered specially for this release. Each vinyl will be released separately in the coming months. Cattle Decapitation's Travis Ryan adds: "We are very excited to announce the "Decade of Decapitation" reissues! All of our Metal Blade discography has been out of print since right after each release and we're glad we will finally be able to meet some of the demands of the fans with these cool reissues! I've had rare items in my personal collection that came with an empty spot for other items that had to be hunted down in order to be complete, I always thought that was fun and so now we pass the hunt on to our fans! The box art is another quality piece from the great Wes Benscoter which reveals the inside living space of a psychopath hellbent on revenge, the same point of view from which the majority of our lyrics come from." 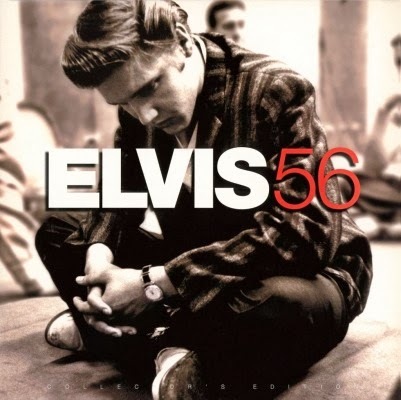 Elvis 56 – originally released in 1996 – is a compilation of studio master recordings made by Elvis Presley in 1956. The sessions on this LP took place at RCA Studios in Nashville and New York, as well as at Radio Recorders in Hollywood. Made up of the hottest tunes from The King's first year at RCA, Elvis 56 is the definitive rock 'n' roll album, including "Heartbreak Hotel", "Blue Suede Shoes", "Hound Dog" and "Rip It Up". The digitally remastered album also includes an insert with rare photos and full recording data. Released in 1969, Black And White contains some of the best swamp-folk-soul-funk of the era. 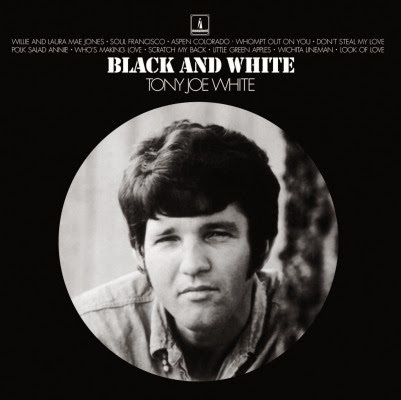 Hailing from the soggy marshlands of Louisiana, Tony Joe White is nothing but the real thing, his deep voice sounding like it's dredged from the bottom of the swamps itself. His catchy songs are chock full of witty, sometimes even funny lyrics on rural life in the Dirty South, accompanied by a strong and funky backing band. White tackles cover versions of Johnny Taylor's hit "Who's Making Love" and O.C. Smith's "Little Green Apples", as well as his own material like "Soul Francisco" and his major U.S. hit, "Polk Salad Annie". 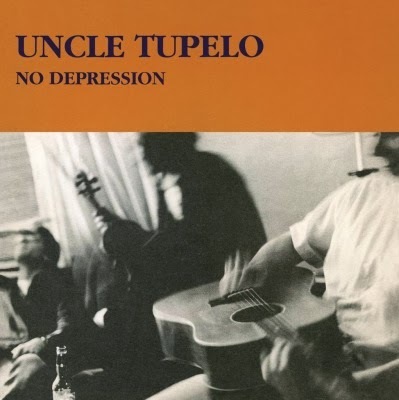 No Depression is cited as one of the most important albums in the alternative country genre. Due to the impact of the album on alternative country, the term 'No Depression' is sometimes used as a synonym for the genre. 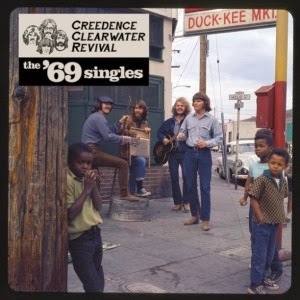 The album helped kick start a revolution which reverberated throughout the American underground. In 1999, Spin Magazine listed the album as one of the Top 90 Albums of the 90s. 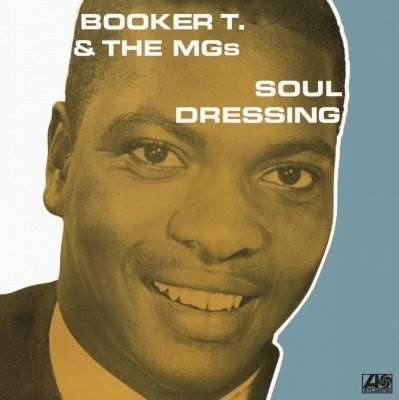 When Booker T. Jones and his Memphis Group, or Booker T. & The MGs in short as they're actually known, are playing no one stops to figure out whether their music is Pop, R & B or Jazz. They just know it's good music. Jon Langford To Release Days & Nights Record Store Day Exclusive 7"